Taking it from the Top: What makes an activist CEO? | The Forum Network, hosted by the OECD: Shape ideas. Shape policy. Shape the Future. Digital opinion analysis uncovers a demand from consumers for CEOs to take a stand on social issues with global implications. Could this signal a new age of corporate sustainability commitments? 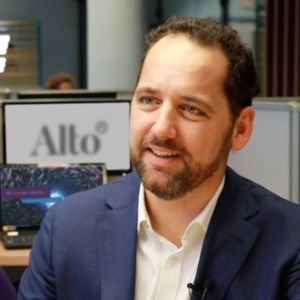 During the last quarter of 2017, Alto Data Analytics, an international data firm specialised in public opinion analysis using big data and artificial intelligence, conducted an analysis of digital opinions to understand what sustainability means to the American public. The analysis focused on the main challenges consumers expect CEOs to confront, which companies are currently setting standards in sustainable practices and how CEOs can become activists for sustainability. Climate change is top of mind, capturing 39% of the conversation, along with another 33 related themes. 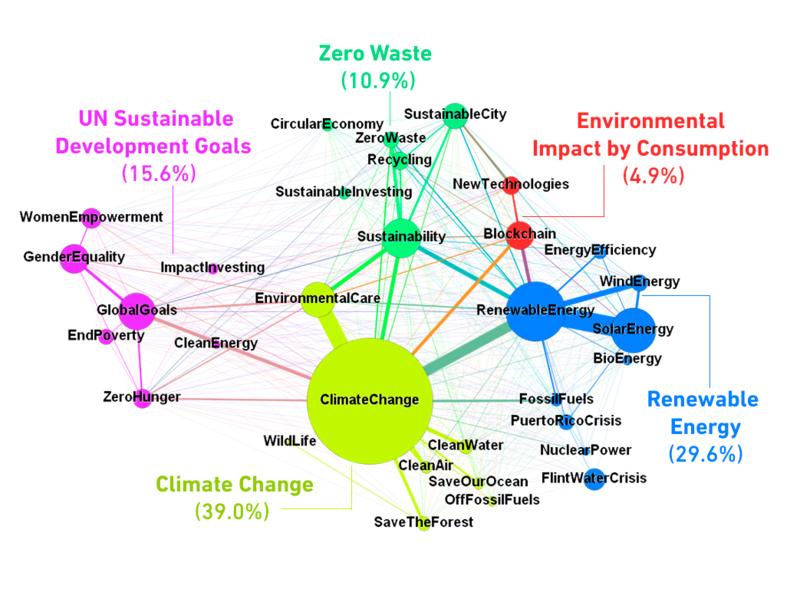 The network visualization below connects the 758,040 most active authors through their 1,663,078 interactions in the form of re-tweets and replies within the public debate on sustainability. Nineteen-point-nine percent of authors focus on a non-political debate, including those from the private sector, and consumers’ minds are being shaped primarily by tech companies investing in renewable energies directly connected to their businesses and the idea of the circular economy. Tesla, Amazon, Google, Microsoft, General Electric, Apple, Intel and Sony are among the top-mentioned brands related to sustainable practices. There is a clear opportunity for CEOs to take responsibility and join the public debate on sustainability. Qualitative research uncovered consumers highly value CEOs who publicly endorse their company’s sustainability plans and support social causes. Initiatives that received high visibility within our analysis were Tesla’s use of their solar panels and batteries to restore electricity at San Juan's children's hospital after Hurricane Maria and Pepsico’s zero-waste strategy with programmes to educate and encourage students to recycle. Consumers are turning to CEOs in search of leaders that not only provide long-term commitments, but leaders who push their brands to catalyse consumers and other brands in new and collaborative ways. However, CEOs can contribute to the debate with more than their product or service as the means of creating sustainability. Simply expressing the opinion of their brand to support or protest current social issues creates impact. A recent example of this is Burger King’s advert, released 24 January 2018, supporting net neutrality. The brand’s activism received positive public feedback and even helped raise awareness of the issue. Short-term actions are also strategies CEOs can execute to show what their brands stand for. 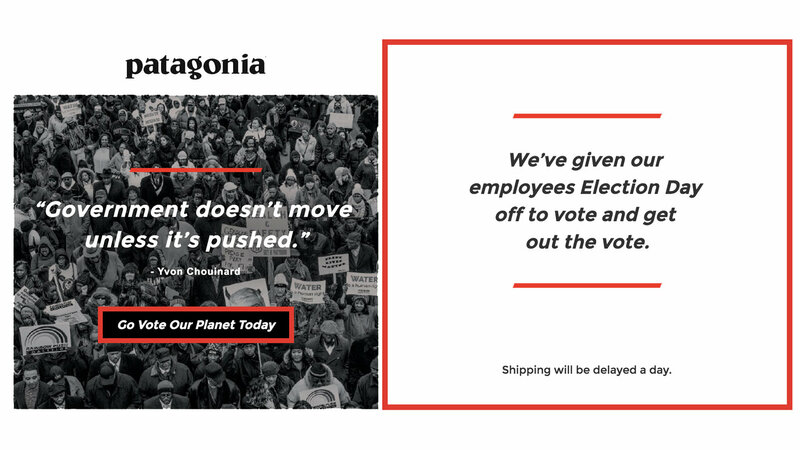 During the 2016 United States elections, clothing company Patagonia closed their stores on election day to encourage potential shoppers to “go vote” instead of shopping. This was a simple action with grand impact and an example of how CEOs can make small actions that create big social change. As demonstrated in the case of Starbucks, consumers pay attention to follow through, and highly value tangible initiatives catalysing consumer and other brand actions. Consumers expect CEOs to prioritise sustainability in their business’s operations and act as role models and leaders to fill in gaps sometimes left by governments. With this changing balance of power, governments must respond with equal swiftness and creativity to do their part to create sustainability. As consumer demands for corporate activism increases, as will the pressure for governments to implement similar strategies. Models where CEOs and governments work together need to be created for exponential impact where private and public sectors mutually benefit from partnerships that meet citizen demands for sustainability. Models can be based on the identification of clear reasons to collaborate, simple and credible goals and being flexible in defining success.